One of the greatest challenges today for adolescents in Christ’s kingdom is the world’s increasingly obsessive focus on self-determined sexuality. As much as we must often critique the world’s misplaced passionate focus on sexuality as the purpose of life, an even stronger obligation for us as parents and teachers is to show the responsibilities and rewards of Biblically guided intimacy within marriage. That is why I am requesting a class set of Rev. 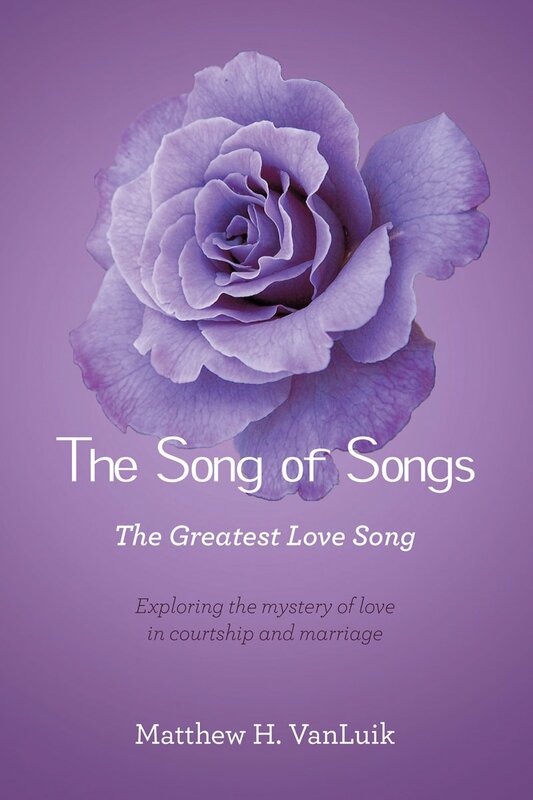 Matthew H. VanLuik’s The Song of Songs: The Greatest Love Song, a strongly Biblical, Christ-centered view of the Song of Solomon that shows the ups and downs of love and marriage, both the day-to-day necessity to give of ourselves and the beauty of indeed being and becoming one flesh. Over and over he makes clear also that one cannot have a truly fulfilling marriage relationship without a living relationship with Christ. The book divides the Song of Songs into 16 sections that could each form a useful guide for note outlines made by a student or pair for presentation to the class, noting which stage of the relationship is dealt with, the problems and positives of that stage, the analogy to Christ’s relationship with His bride the Church, and the application to the issues that the students themselves face. These would become textbooks in our Wisdom Literature course for either Grade 11 or 12, which means that every student in the high school would eventually use them… and, I am certain, benefit from them. Of course, it is not only teens who could benefit from a clear Biblical view of sexuality courtship, love, and marriage. If you believe that this commentary could help you and your family in, as the cover's subtitle puts it, "exploring the mystery of love in courtship and marriage," you can order it from Amazon.com by clicking here.